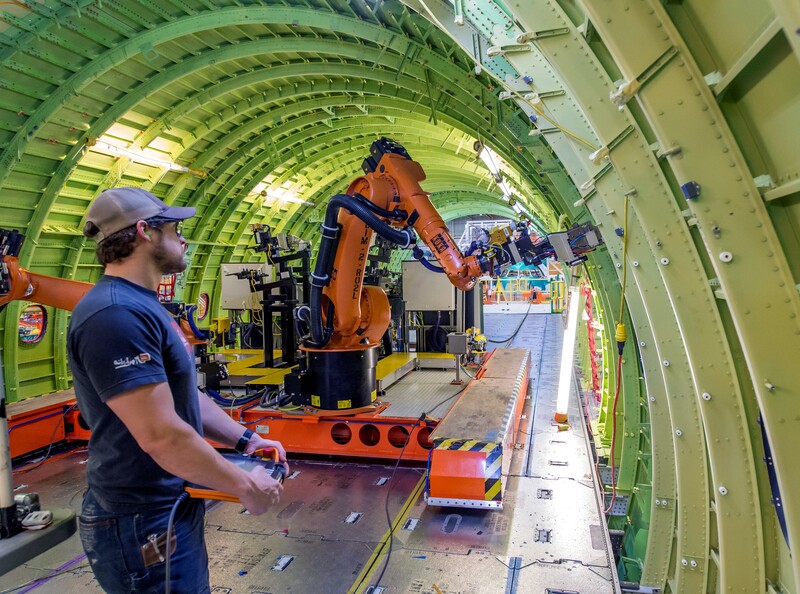 Boeing’s moves to automate its manufacturing processes and streamline the quality assurance process for its airplanes has sparked discussions with union officials over the effect on jobs. The controversy came to light in the current issue of Aero Mechanic — the newspaper published by the International Association of Machinists’ District 751, which represents Boeing assembly workers — and in The Seattle Times. This entry was posted in GeekWire and tagged Boeing, Bot or Not, Robots, Technology. Bookmark the permalink.